The colour of the streak tells you what it is, and like anything else, your judgement improves with practise. In the above example they are, from left to right, lead, lead free pewter (Tin with a bit of antimony and copper) and sterling silver, which is silver with 5% copper. The latter one clearly being shinier and whiter than the others. 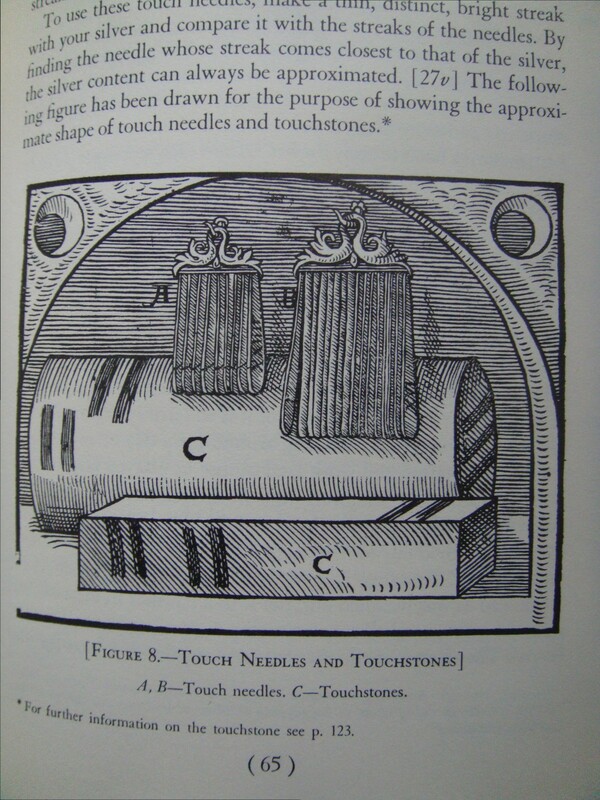 showing the number of needles of different alloys used for comparison. That is what makes them such a strong test, the comparison with known alloys. Lazarus Ercker describes the manufacture and use of them, specifying 20 different grades made up of pure gold through different alloys of gold which contain copper and or silver. The method does not appear in Theophilus, who was not so concerned with testing metal purity. In fact as far as I know this method was more used in the late medieval period, and I have not found any evidence for it being older than that, although it probably is. Certainly the silver in Chaucer’s Canon’s Yeoman’s tale is assayed by hammer and fire, not by touch. Usefully it is also minimally destructive. The older methods of testing involve beating the sample out flat to see how ductile it is, or melting it in a crucible and seeing what colour it turns. This method permits you to test something that has already been made into a nearly finished item, and is surely an often overlooked assistant in the drive towards proper quality control by guilds and thus the rise of hallmarking. 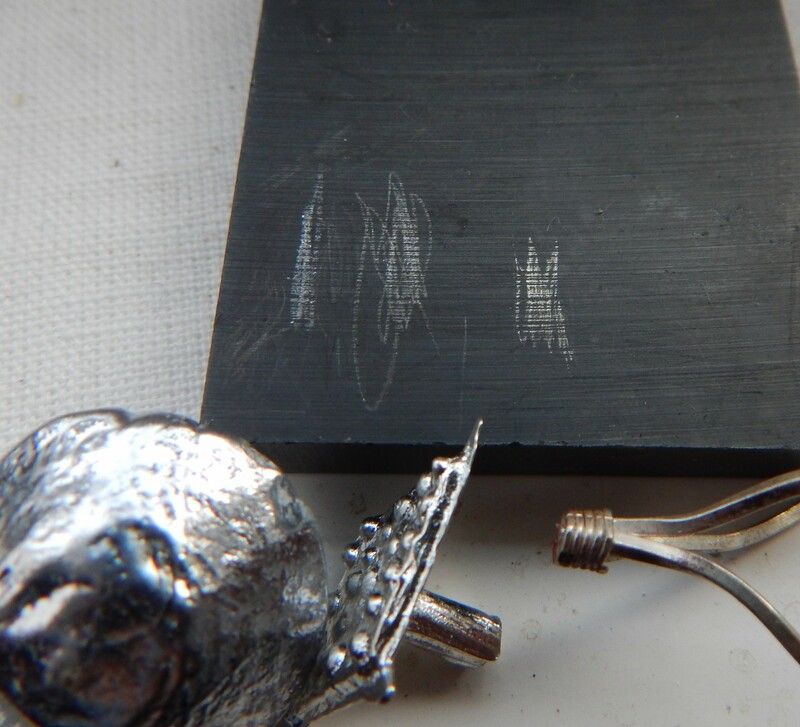 Non-destructive testing means that post-manufacture testing is possible and easier to do, rather like the modern situation which uses XRF’s to test areas of the jewellery that is sent for hallmarking. 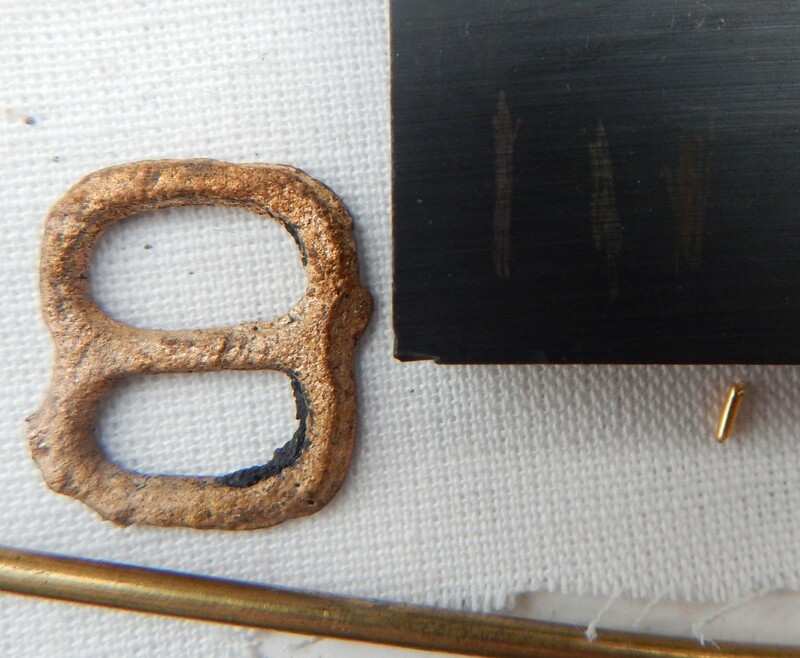 Hallmarks were introduced in London in 1300, as part of an overhaul of the older regulations used to control the work of gold and silversmiths. Gold and silver plate were to be of fixed alloys, and this was tested by the Goldsmiths company (Who still do that work today) and the mark to be punched on silver items. Later in the medieval period other towns were chosen to act as assaying centres, and 4 still survive, London, Birmingham, Sheffield and Edinburgh. The proper analysis was usually done by cupellation on a sample scraped or drilled from the finished item, a technology that was fully mature by the late 16th century time of Ercker, but probably not in existence much before the 13th century. This one is, from left to right, bronze, brass and gold. I managed to source a tiny piece of purish gold, but the streak it makes is a bit on the red side. Nevertheless, the other two streaks are clearly not properly shiny in the way that real gold would be. And you can clearly see the difference. Some time in the early modern era the tests were refined to involve the use of acids. Which acid dissolved which streak or changed its colour would define the metals involved, although I don’t know much about this. Either way it continued in use until the 21st century in some assay offices! Both the touchstone and cupellation were well known to the alchemists. For example, the medieval Arabic treatise attributed to Avicenna called “De anima in arte alkimiae” (at the very least dating back to the 12th century) already mentions the touchstone as one of the tests for gold. Cupellation is also mentioned by Arabic writers (the alchemical works attributed to al-Majriti, for example.) Al-Razi even devoted a whole treatise (Kitab al-Mihan) to tests for gold and silver so that the investigator would know if his artificial precious metals were the real thing or not, but unfortunately, like it has happened to many other of his writings on the subject of alchemy, this treatise appears to be “lost”. I have not been able to find any surviving manuscript copy of it so far. Contrary to popular modern misperceptions, the alchemists were in fact interested in putting artificial gold and silver to the test. Yes, I think primitive forms of cupellation go back 2,000 years, but I didn’t know of any Arabic mention of touchstones. I’m waiting for the SHAC edition of De Anima” to come out, might take a while. I think most alchemists past the first stage (Graeco-Egyptian) were interested in distingushing between types and qualities of gold. Of course the motivation varied, from larcenous to proof of their own wisdom. Even in the Graeco-Egyptian and Byzantine stages, despite the fact that this topic is not specifically addressed in depth, there are some passages that already denote an awareness of a differentiation between real gold and silver and things that aren’t. For example, in the “Book of Sophe, the Egyptian”, the author refers to “true gold” as opposed to “adulterated materials” from which silver and gold can be separated from each other (this passage obviously implies that the author knows how to separate metals and is not fooled by simple alloys.) The topic of failed seekers who do not succeed in making gold and silver already comes to the surface in these earlier texts, so obviously there was a criteria for determining how genuine were the products of transmutation operations. The claim by some modern “critics” (like Arthur John Hopkins or Maurice P. Crosland) that Alexandrian and Byzantine alchemists confused virtually anything metallic that had a golden or silvery appearance as the real things is simply an unwarranted generalization based more on their wish to find convenient “explanations” for the alchemists’ adamant defense of transmutation than actual evidence from the texts themselves.